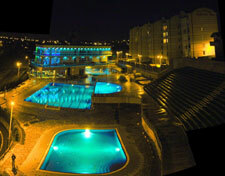 The Spa-recreation Centre Lakta�i is one of the most respectable and the most known tourist and catering potential of Republic of Srpska, as well as Bosnia and Herzegovina. �Lakta�i Spa� and Hotel �San� are located within the Centre, forming true unity of natural and urban, traditional and innovative - a place to meet the needs of your most delicate and sensitive senses. Reliable and based on research data on possibility of using the healing thermal mineral water in Vrucica Spa date back from the period of Austrian Hungarian Empire in Bosnia and Herzegovina. Ten years after annextaion of Bosnia and Herzegovina, Austrian geologist Ernest Ludwig spent some time in Bosnia and Herzegovinato research the quality of mineral waters. After him, some other famous geologist doctor Friedrich Kazer researched and analyzed the quality of healing water of the Vrucica Spa. 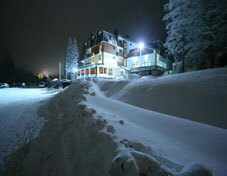 Hotel Board Jahorina is placed on the main road between �Rajska Dolina� and �Bistrica � hotel (1.550 height above sea level). 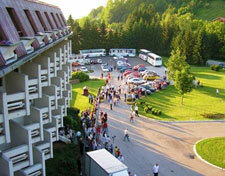 In the middle of ski center next to the main road and only 150 m distant from the cable railway- �Poljice�. All ski tracks as well as railways of ski center are easily available. 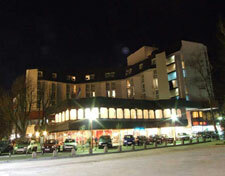 In the hotel�s complex, there are: luxurious rooms and apartments, aperitif bar, piano bar, an inn with a terrace, restaurant �Ambassador�, pension restaurant, discotheque, halls for seminars and presentations, halls for other types of entertainment with 500 seats, boutiques, newspaper kiosk and our own guarded parking lot and garage for cars and buses, available for our guests. 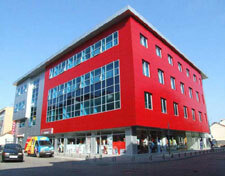 All rooms and halls of the hotel �Bosna� are air-conditioned. 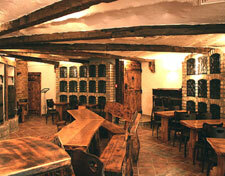 When leaving the town of Bijeljina, beside Pavlovic's road, you will find ethno village ''Stani�ici''. Ethno village "Stani�ici" takes us back in time making us closer to nature and our ancestors, and making us admire the simplicity of rural life of the past. Here one rests his eyes and soul, he becomes kinder, while the babbling of the brook and the sound of the watermill make him wiser. 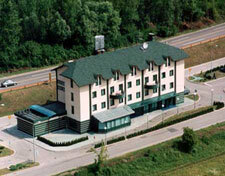 The Kaldera Boutique Hotel is a full service hotel located along the main road that connects the capital of Republic of Srpska Banjaluka and Gradiska town that is located on the Croatian and BiH border. 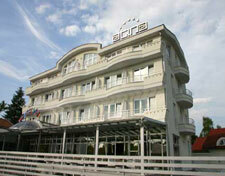 Dear visitors, The Talija Hotel is located in the heart of Banja Luka. Our intention was to complement the tourist offer of this city and offer domestic and foreign guests comfortable acommodation and maximum quality of hotel services. ... 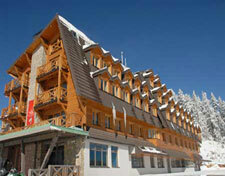 Right where the ground most tenderly meets the skies, lays the mountain of Jahorina, shaped by winds and centuries. ...The mountain � the sculptor of identities of the people living up in the mountain and together with it, surrounded by the beauty of centuries-old forests and mountain meadows. ...The scenery of infinite beauty of endemic plants becomes in summer time the place filled with tranquillity and the sounds of nature.... Mountaineering adventurism, a sharp flavour of the air and biting winds on the 20 km long Olympic ski slopes and ski lifts wherever those who are tired may seek rest. 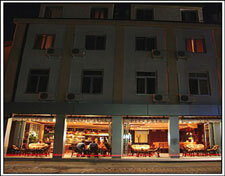 Hotel VIDOVIĆ is located in the very center of Banja Luka, nearby all the major republic and city administrative, business and cultural institutions. 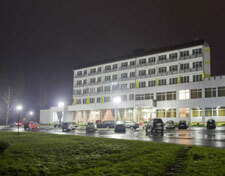 The hotel was built according to top world standards, and with its structure, functionality and equipment, will satisfy even the most demanding guests. Aparthotel �Vucko� offers apartments equipped in accordance with the principles of modern technology of dwelling and service usage. 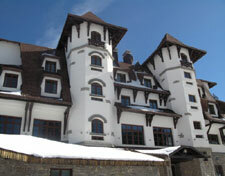 Majority of the apartments face the south and have got the view of the ski-trails and the top of Jahorina. The apartments are only 50 m away from the ski-trails and sunlit during the whole day thanks to the uniqueness of their location.